burn fat, add lean muscle and transform the way you look and feel! The most powerful path to changing the way you look and perform is through our strength-focused personal training on a 1-on-1 or semi private basis. 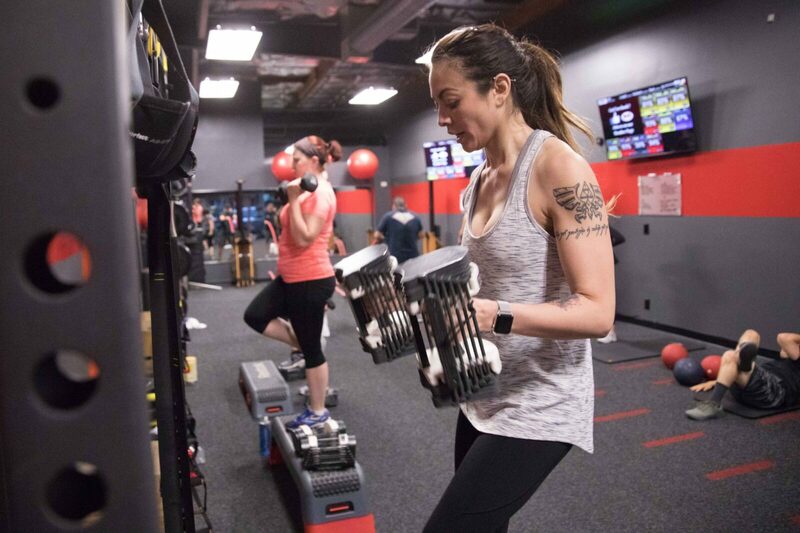 If you want a quick way to get toned and shredded, our group training and HIIT classes are limited to 12 people so you get the attention you need for real results. To drop fat, add lean muscle and get the body of your dreams you need a solid nutrition program and effective coaching to keep you on the path to success. The support from Arena was amazing! The whole staff is ready to answer any questions, give guidance and encouragement. We feel better, we look better and both Casey and I are eager keep up this Balanced Habits lifestyle well after the wedding! Arena has completely changed my view on fitness and health in a very positive way! All the trainers are amazing, personable and make you feel right at home. Never thought I would have the feeling of love going to work out but I do at Arena, even after the invigorating workouts! Also the lifestyle program they offer has changed my life in terms of health and fitness. Thank you Arena! To everyone at Arena Fitness, I want you to know how incredibly grateful I am for your persistence, your positivity, and your patience. In the few months I've been under your guidance, I have learned so much about fitness, nutrition, and myself. You have shown me I am capable of more than I previously thought possible, and you have forced me to challenge myself in new and exciting ways. The lessons you teach are absolutely invaluable, and I am exceptionally thankful for each and every one of you. We’ve helped hundreds of people lose thousands of pounds and completely change their lives. Are you ready? Our small group environment gives you the guidance you need, the support system you’re looking for, and the individual attention you deserve. We don’t just focus on your fitness. Our 360 approach also incorporates nutrition, goal setting, mindset, habit formation and most of all…FUN! We’re constantly researching and drawing on our 20+ years of training experience to fine-tune our fitness programming and keep your workouts challenging, interesting, and EFFECTIVE.